The Indian National Team has recorded its first away victory in more than a decade, following a 3-2 win over Cambodia. The two teams faced off in an international friendly at the Olympic Stadium in Phnom Penh on Wednesday, and the Blue Tigers recorded an impressive win over the home side. Despite Cambodia dominating the first half, India managed to score the opener against the run of play, thanks to Sunil Chhetri scoring from a corner in the 36th minute. But India’s initial lead lasted for merely a minute, as Khoun Laboravy immediately grabbed the equaliser after the restart. The second half, however, was a completely different story from an Indian point of view, as the away side came onto the pitch with all guns blazing. Jackichand Singh and Jeje Lalpekhlua, two of India’s substitutes, combined to get their team back into the lead in the 50th minute, and 4 minutes later, Sandesh Jhingan headed in the third from a corner to establish a comfortable 2-goal lead. 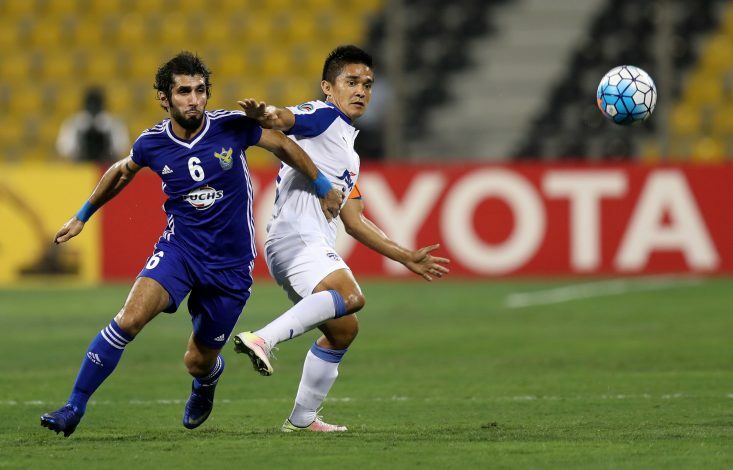 Chan Vathanaka did manage to pull one back around the hour mark, but the youthful Cambodian team lacked the composure to go all the way, and India came away with a 3-2 victory from the hosts’ capital city. With the Indian team securing its first away victory since 2006, the men in Blue will be brimming with confidence as they prepare for their next match against Myanmar on March 28.